Software Engineering — An Oxymoron? 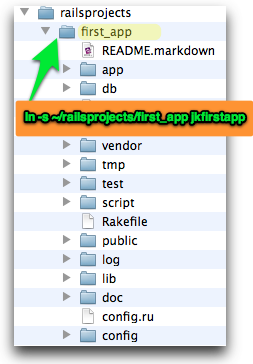 You can run a bunch of your rails apps all at once, with ease. This is worth the effort to try and get running to see if it will help ease how you work with multiple Rails apps. Since my experience was a bit off from the awesome-looking Screencast teaser, I figured I would share it in case others might benefit from the troubleshooting. Once I solved the Pow-not-working-like-magic-from-the-start problems, it worked right out of the box with a Rails3 App. Not so much with my Rails2 apps. So, you can either try to do it the Rails3 way from the start (see below for instructions), or barge ahead and see how far you get (knowing now what I do for Rails2, barging is probably a pretty safe bet). Yes, I am repeating what is in the main website… but then aggregating common troubleshooting experiences ad fixes below, to save you (and my colleagues) time. If that didn’t work, continue onward, your journey will be short (I hope). It should be running with the default server page. No such application can be found! Then you know you have screwed up the symbolic link. Try again, and be careful and exact. Rails2: Cannot GET /? –> config.ru is Missing! That’s right, you see: Cannot GET / in the browser. Bet you never saw that before! # This file is used by Rack-based servers to start the application. This is most likely, genuinely, truly your error… Sorry to say! Pow can’t start your application. /Users/jon/railsprojects/track_my_league/tml raised an exception during boot. Here the error is that I do not have the gem environment set up properly with RVM (using .rvmrc). Easily diagnosed because I can’t even start the app manually! This entry was posted in cool tools, Development, pow, ruby, RVM on April 18, 2011 by jon. All I wanted to do was sit down with Mike Hartl’s “Ruby on Rails 3 Tutorial” yesterday. Hours later, with nothing to show other than a zillion open terminals, I punted and watched the Flyers beat the Sabres despite playing like girls (I know, unfair to girls!). Then I went to bed. I also deleted the RVM stuff from the bash_profile file(s). Just to attempt to eliminate voodoo dolls. I guess I should be more diligent, because in general you get spoiled by Ruby and gems and Rails and the general euphoria of how easy things are. Until they aren’t. Today, I ended up fixing my system by looking for “rvm” on my system, and cleaning up leftovers. The crumbs from my sloppy eating at the trough of Ruby, I suppose. I saw some directories holding rvm docs. I whacked them. I saw some directories with rvm source, archives… Gone. Shazam! No errors. Thanks Wayne! Now I can get past page 15 in Mike’s tutorial book! This entry was posted in cool tools, Development, rails, ruby, RVM on April 17, 2011 by jon. So You Wanna Try Agile? Bhavin Shah on Got Technical Debt? jon on Got Technical Debt? Jean-Pierre on Got Technical Debt?